Leonardo da Vinci not only invented the first refrigerator, self-propelled vehicle, and robot — he also invented the first drone. Leonardo da Vinci not only invented the first refrigerator, self-propelled vehicle, and robot — he also invented the first drone. The discovery was announced Thursday evening by the Torre do Tombo National Archive in Lisbon, where research fellows found the sketches by chance. The designs reveal a self-operating quadcopter made of pine, equipped with revolving platforms and a parachute-like form for flight. 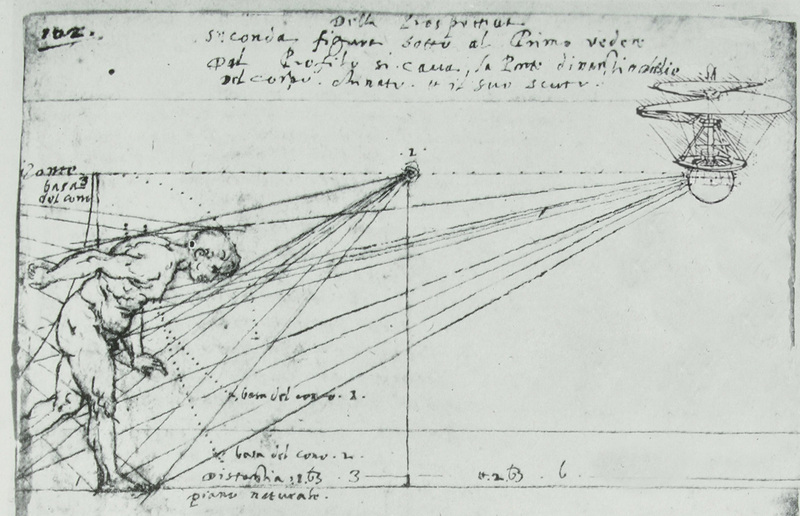 Scholars consider these to be the most advanced designs among Leonardo’s more than 500 sketches of flying machines. Leonardo experts confirmed that the sketches belong to the tireless inventor’s codices, whose heirs allowed them to be split up in the late 16th century. A portion of the codices landed in Spanish sculptor Pompeo Leoni’s hands and scholars have speculated that the drawings traveled to Portugal during this time. “I have no doubt that this is Leonardo’s hand,” Davide Accorsi, a professor of art history at the University of Milan and specialist in the artist’s notebooks, told Hyperallergic. The most convincing detail is Leonardo’s handwriting, which he characteristically wrote backwards, making his words challenging and only possible to read with a mirror. The notes, according to Mariana Almeida, the senior archivist of the Torre do Tombo, are still in the process of being deciphered. Whether the sketches will be sold at auction or join their counterparts, the Codex on the Flight of Birds at the Biblioteca Reale in Turin, Italy, has yet to be revealed. Leonardo developed his obsession with mechanical flight when acting as a military engineer advisor for the Milanese court. Many of his inventions would be adopted for war, including the tank, glider, parachute, diving suit, crossbow, and now, 500 years later, the drone. Surely Leonardo would not have been too pleased to see one of his most prescient designs being put to such devastating military uses.